In June this year we reported on Ikea’s global survey on play. More than eleven thousand interviews were conducted in twenty-five countries about children’s background and development to the importance of play. The findings were surprising, inspiring and somewhat worrying. 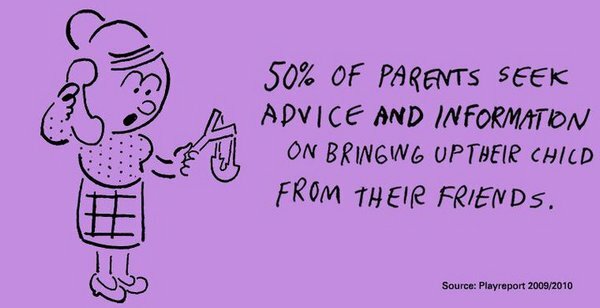 Notably, many parents feel that they don’t have time to play with their children and have even ‘forgotten how to play’. 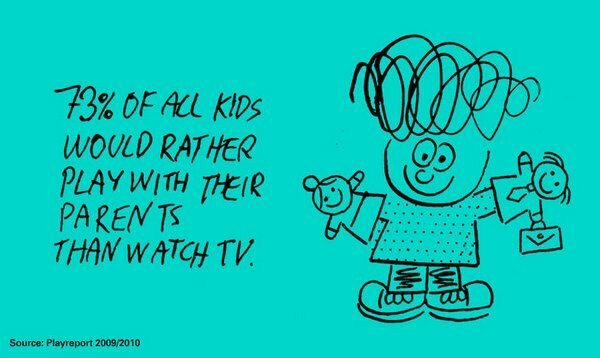 Happily, a vast majority of children would rather play with their parents than watch television. •	The cult of Masterchef seems to have influenced kids more than parents, with two-thirds of children surveyed saying they’d like to spend more time baking in the kitchen with mum and dad, whilst only half of parents see cooking or baking as good for creativity. Inspired by the research drawn from the Playreport, IKEA has released a free iPhone app to tackle parents’ concerns about a lack of ideas for interaction and game-play with their children. The app, called ‘Lekar‘ (meaning games in Swedish) contains games that involve a parent and one child or more. Activities are based on popular children’s games around the world including Charades, Statue Dance and Bird, Fish or In-Between, an iPhone hide-and-seek game. Like everything Ikea does, the graphics and presentation of this app are exceptional. Find out more about Playreport here.